Celtic band Lone Raven will perform with the Central Ohio Symphony during the Symphony’s holiday concerts on Sunday, Dec. 10 at Ohio Wesleyan University’s Gray Chapel. Showtimes are 2 p.m. and 4:30 p.m. Members of Lone Raven are, from left, Craig Markley, Kara Markley, Elizabeth Blickenstaff, and Neil Jacobs. The Central Ohio Symphony will present its annual holiday concerts on Sunday, Dec. 10 in the festively decorated Gray Chapel on the campus of Ohio Wesleyan University. Showtime is 2 p.m. and 4:30 p.m. The orchestra under the direction of Music Director Jaime Morales-Matos will perform two identical concerts of seasonal music. The concerts will include the world premiere of “Welcome Sun,” a piece composed by Hayes High School student Noah Goulet, who studies composition with Ohio Wesleyan assistant professor Dr. Jennifer Jolley. This is the first time one of Goulet’s pieces will be performed by a professional orchestra. 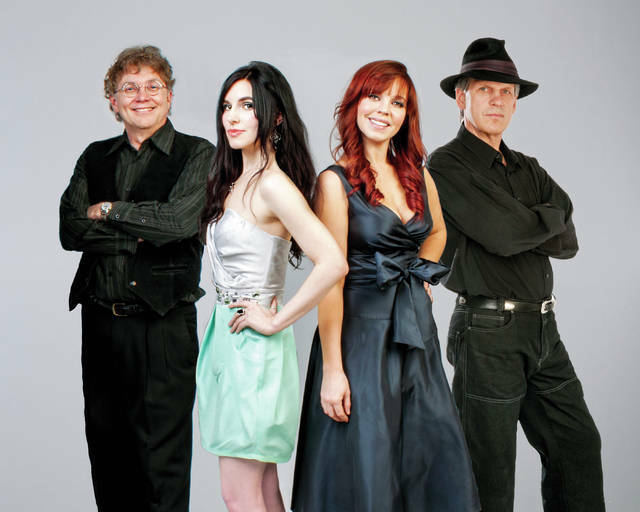 The concert will also feature the return of the Celtic band Lone Raven. “Lone Raven was wildly popular when they appeared with us last year and we are excited to have them back,” said Hyer. The orchestra and Lone Raven will again be playing special arrangements of some of their original works as well as traditional music, arranged by Ohio Wesleyan students of Dr. Jolley. Additional works include Leroy Anderson’s “A Christmas Festival,” “A Charlie Brown Christmas,” and other holiday works. As is the custom of Conductor Morales-Matos, the concert will end with the Radetzky March by Johann Strauss. Tickets for the concert are available at the Symphony Source office at 24 E. Winter Street in downtown Delaware. Prices are $25, adults; $20, seniors; $6, students of any age; and $4, children, six and under. Ticket may also be ordered online at www.centralohiosymphony.org or by calling the Symphony at 740-362-1799. The holiday concerts are underwritten by grants from the Ohio Arts Council, City of Delaware and supported by Ohio Wesleyan University.